America has spoken, loud and clear. 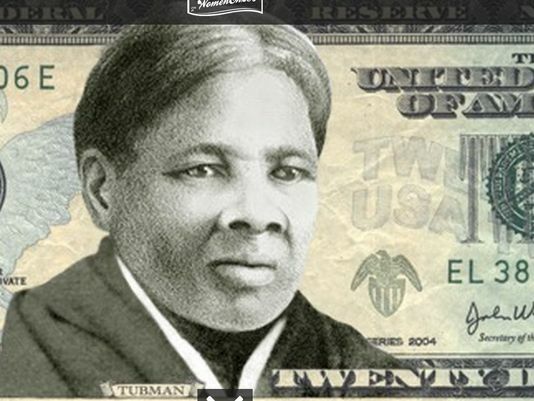 They want Harriet Tubman to be the face of our $20 bill. Right now, our currency is very male and very white. A grassroots campaign called Women on 20s hopes to change that, and started an online petition to replace Andrew Jackson on the twenty. Women on 20s held two rounds of voting. After the first round, there were four finalists: Tubman, Wilma Mankiller, Eleanor Roosevelt and Rosa Parks. All extraordinary women, not just in their time, but in history. In the end: Harriet Tubman won with 118,328 votes. Second place was Roosevelt with 111,227.